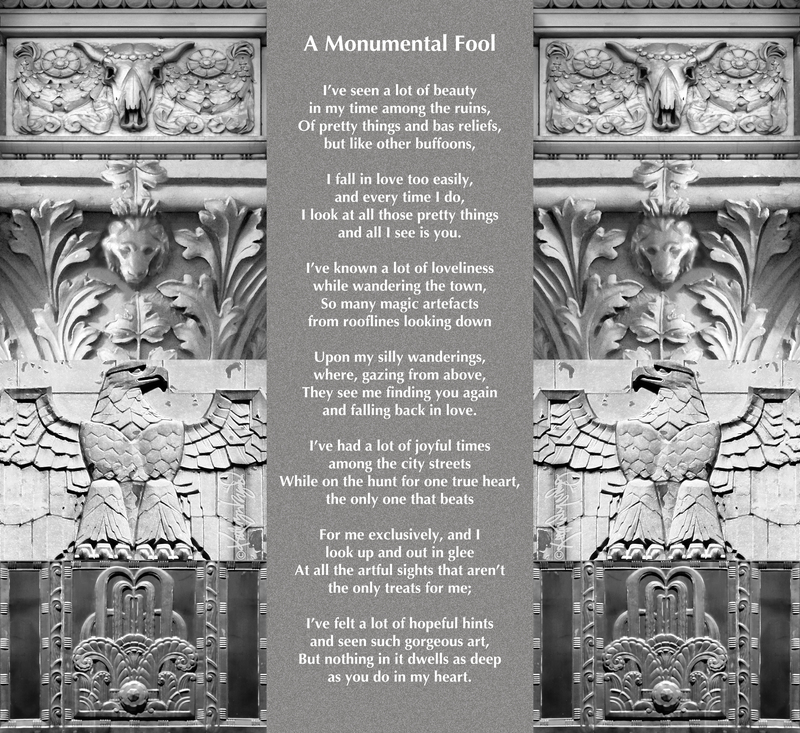 This entry was posted in Art, Family, Happiness, Human Nature, Humor, Love, Poetry and tagged acanthus, Adobe Photoshop, architecture, art, art deco, bas relief, bones, bronze, bull, cattle, Design, eagle, falling in love, garlands, human nature, humor, lion, love, poem, Poetry, Romance, Ruins, sculpture, skull, stonework by kathryningrid. Bookmark the permalink. Beautiful lyrics from the heart. Art work is amazing too. Take care Kathryn. That’s really beautiful. It makes me wonder more about the story. What beautiful verses! I was sad to come to the end!